Despite overwhelming passage in the Senate, the original SB 2042 almost failed in the House due to a late amendment added by House Democrats that attempted to hold these federally-funded programs “hostage” to the overall budget impasse. In the end the majority party yielded and allowed the original federal funds appropriation bill to be voted on by the full House with a handful of Republican suggested additions related to homeland security. 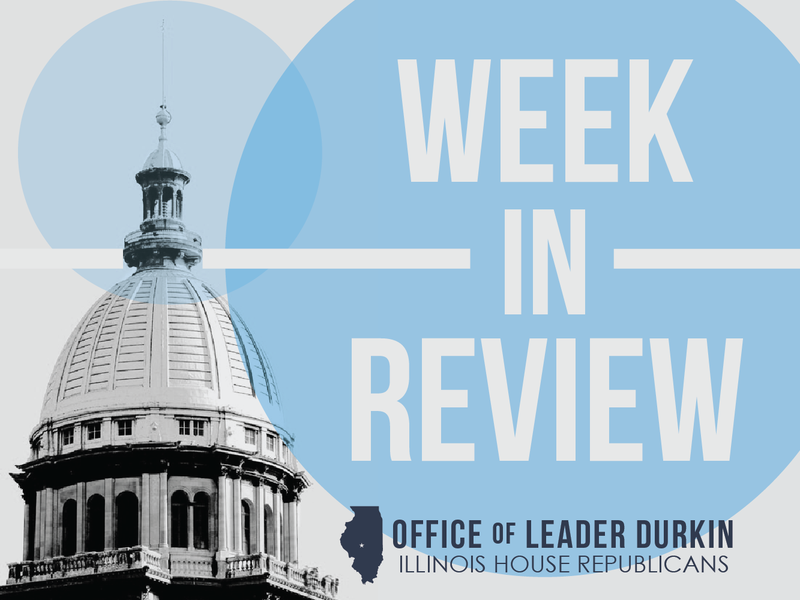 House Republicans continued to draw attention to the piecemeal FY16 Illinois budget taking shape, but noted that federal dollars should not be subject to the ongoing budget battle in Springfield. Governor Rauner and his office begin to cut the FY16 budget on their own. In the absence of an FY16 budget, Illinois faces an immediate FY16 spending situation right now and a worsening crisis. The Governor and his office have begun to take unilateral action, utilizing the emergency rulemaking authority possessed by State agencies, to cut spending. Rules to reduce taxpayer spending on medical hospital reimbursements, Medicaid-paid medical transportation (ambulance services), State-subsidized child care services, and the operations of the Illinois Labor Relations Board have been promulgated in the first weeks of the GY16 budget impasse. The Joint Committee on Administrative Rules (JCAR), an arm of the Illinois General Assembly, considered these budget-cutting rules at their meeting on Tuesday, August 11. JCAR did not take steps to block these rules, which will remain in effect. 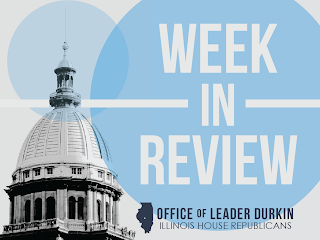 Illinois continues to operate without a budget for FY16. While many sections of State government are approaching crisis conditions, many others are operating normally due to various court cases, consent decrees and continuing appropriations. This ability by much of the State to “carry on as usual,” even in the absence of a budget, is seen by many observers as a factor that is delaying pressure from building towards a resolution of the crisis. Chicago Public Schools announces operating budget; Governor calls for new school policies. The new budget, released on Monday, August 10, relies upon all of the existing aid that Chicago’s troubled school system gets from the State and adds $480 million in additional aid in the form of pension relief that has yet to be approved by Springfield. Despite the optimistic hope of massive additional help, the CPS budget also contemplates significant teacher layoffs. An announcement was made on Monday, August 10 that more than 450 teachers will be let go in Illinois’ largest city. On Monday, August 10, Governor Bruce Rauner harshly criticized the role of the Chicago Teachers Union in putting policies in place that created this budget proposal. He called upon the Illinois General Assembly to take another look at his “Turnaround Illinois” proposal package. A key element of this package would allow the Chicago School Board to decide on an agenda for future sessions of teacher-management collective bargaining. Controversial gourmet restaurant to close. The “Waterleaf” restaurant, a high-end eatery and training center located at the main campus of the College of DuPage, has been implicated in many revelations of out-of-control spending by retiring college president Richard Breuder and top aides. Waterleaf has been operated as part of the COD’s Culinary and Hospitality Center, located on the College’s Glen Ellyn campus. While the luxury place for fine eating and drinking was described to College of DuPage taxpayers and students as a place for training aspiring chefs, caterers, and specialized food preparers, 2015 news accounts indicate that the eatery was not very successful at achieving these policy goals. The tablecloth restaurant appears to have been oriented, instead, towards use as an eating club and executive amenity for Breuder and his friends. The retiring college president has gone on leave of absence, and the newly-elected COD Board of Trustees, controlled by the “Clean Slate” faction, is actively investigating his policies and leadership. The trustees voted on Thursday, August 13 to close down the controversial restaurant. Landmark law enforcement reform backed by Reps. Cabello and Anthony signed into law. House Republicans with law enforcement experience were central to the successful effort to implement a host of law enforcement reforms in the form of SB 1304 and signed into law as Public Act 99-352 on Wednesday, August 12. The measure, which was worked out with substantial input from police officers, prosecutors, and criminologists, includes provisions intended to sharply increase the number of body cameras (“bodycams”) worn by Illinois police officers as part of their uniforms. This measure responds to concerns raised by the overwhelming level of negative media stories surrounding law enforcement around the nation during the summers of 2014 and 2015. Provisions included with the measure create an exception for police who are authorized not to wear bodycams in specific situations where the devices will be inappropriate or unnecessarily dangerous. Police departments will be encouraged to present plans to maximize bodycam accessibility to the members of their force. The full Illinois House supported SB 1304 by a vote of 107-3-4, signaling strong support for the measure. Amazon opens fulfillment center in Joliet. The online retailing firm, which stockpiles and forwards much (but not all) of the goods sold on its website, has opened its first sorting and order fulfillment center in Illinois. The 500,000-square-foot Joliet-based facility will carry out chores that are intended to increase the proportion of goods that can be delivered to Chicago-area customers on the day an electronic order is placed. The fulfillment center’s capabilities go well beyond those of a traditional warehouse. The fulfillment center will specialize in the warehousing, sorting, and delivery preparation of books, small electronics, and consumer goods. The site’s startup has created an estimated 1,000 Illinois jobs. The company has suggested that if the State is able to improve its business climate, they may open multiple fulfillment centers and other facilities in the Chicago area by 2017. $70 million invested in seven Illinois health care startups in first half of 2015. “Crain’s Chicago Business”, tracking Illinois venture capital activities in the first and second quarters of calendar year 2015, followed approximately $70 million that has been placed by financiers in Apervita, AuraSense, Livongo, SwipeSense, and three other startups that specialize in the development of new medical devices, pharmaceuticals, and medical instruments. In many cases, these development-stage firms may themselves be acquired, or may cease operations, before going into full-scale operations. Observers of the U.S. and global economy continue to see health care growing as a share of overall economic demand and production. Kraft Heinz consolidates, 700 positions in Chicago area affected. The merger of two major packaged-food firms, H.J. Heinz and the former Kraft Foods, into Kraft Heinz is affecting the Chicago area. Kraft Heinz has stated they are eliminating 700 positions located in Northfield, Illinois, the former headquarters of Kraft when it was an independent company. The reduction in force is part of the overall elimination of 2,500 jobs at the company. The Northfield action is expected to affect more than one-third of the Kraft Heinz workforce at Northfield, which had been approximately 1,900. Kraft Heinz is best-known among consumers for familiar brands such as Velveeta processed cheese, Jell-O desserts, and Heinz condiments and ketchup. The Omaha-based conglomerate Berkshire Hathaway, controlled by financier Warren Buffett, is a significant investor in the Kraft Heinz merger. New law toughens rules intended to reduce and prevent athletic concussions. The Youth Sports Concussion Safety Act mandates that school with athletic programs develop rapid-response concussion emergency action plans that will enable medical help to be obtained and prompt care available in cases of actual or suspected head injuries. Parallel mandates are placed on youth sports leagues and on park districts that organize youth sports activities. The Illinois High School Association (IHSA) and other affected groups will develop rules and policies to implement the new law, which went into effect immediately and will apply to the 2015 high school football season. The new law is the result of the passage in spring 2015 of SB 3 by the Illinois General Assembly. The bill was signed into law on Monday, August 3 by Governor Bruce Rauner. The House vote on SB 3 in May 2015 was 104-1-1, with almost all House Republicans voting in support of the measure. Governor appoints Gen. Richard J. Hayes as commander. The Illinois National Guard , which has nearly 13,000 men and women in uniform, is the Prairie State’s contribution to the national defense readiness of the United States. The Guard also has units whose personnel are trained emergency responders in cases of flooding, storm damage, and other natural disasters. Gen. Richard J. Hayes, Jr. was installed as the Illinois Adjutant General, the Guard’s new commander, on Sunday, August 9. All 50 states have units of the National Guard, which operate semi-autonomously under the close supervision of the U.S. Department of Defense. Illinois National Guard activities are centered on Camp Lincoln, the National Guard post on the north side of the state capital at Springfield, Illinois. Illinois State Fair opens in Springfield. The annual Illinois State Fair opened on Thursday, August 13 and will continue until Sunday, August 23. Held at the State Fairgrounds on the north side of Springfield, the gathering features entertainment, festival food, rides and attractions. State fairs have been held since 1853, with the exception of the years during World War II. In a typical year, between 0.5 million and 1.0 million fairgoers attend the festivities. Diagnoses increase in Illinois. A significant outbreak of Legionnaire’s disease, or “legionellosis,” in New York City is tied to an uptick in diagnoses here in Illinois. Although only four deaths have been attributed to the deadly form of pneumonia so far in Illinois this year, public concerns about the water-borne illness are rising sharply. The microorganism that causes Legionnaire’s disease has found a home in institutional water-based heating-and-cooling systems, including potential infiltration into the familiar “cooling towers” that sit on top of the roofs of many commercial and industrial buildings throughout the U.S.
Legionnaire’s disease is especially dangerous to elderly patients and patients with compromised immune systems. The Illinois Department of Public Health urges at at-risk patients to seek diagnosis promptly so that vector locations, where the water may be infected, can be promptly identified and cleaned. Prompt diagnosis is strongly advised from the patient’s point of view as well, as the antibiotic drug erythromycin is currently effective in treating the disease. If the illness is promptly treated, more than two-thirds of patients will recover. House passes bill to provide emergency debt service relief. SB 2042, as amended in the House, contains a tweak to appropriations laws governing the operations of the Chicago-based authority that governs McCormick Place, the Metropolitan Pier and Exposition Authority. In the absence of a budget, a “tweak” to the MPEA’s law is necessary to allow the MPEA to put funds into readiness to carry out its debt servicing requirements. The vote on Wednesday, August 12, to pass SB 2042 was 98-0-0. The MPEA has borrowed substantial sums of money in order to expand McCormick Place, rebuild Navy Pier, and carry out financing for an arena and hospitality space adjacent to the convention center. Debt on these borrowings will be due on December 15, and monies are required to be set aside monthly to prepare for this December payment. Citing uncertainties about this financing chain Standard & Poor’s, the New York City bond rating house, sharply reduced the MPEA’s debt rating on Wednesday, August 5. Chancellor Wise announces intent to step down; trustees reject separation pay agreement. A proposed $400,000 separation payment to retiring Chancellor Phyllis Wise, operating officer of the University of Illinois during a controversial four-year period, was debated this week and rejected by the university board of trustees. The rejection was made public on Wednesday, August 12. The chancellor has announced last week she was stepping down amid revelations that she had deliberately used personal e-mail to discuss matters of University policy with other key officials and advisors, thereby attempting to sidestep access to issues of public accountability. House Republicans have taken the lead in signaling that lavish separation payments are inappropriate for persons who leave the public sector, especially public institutions of higher education, under pressure or a cloud. HB 3593, sponsored by Representative Jeanne Ives and fourteen Republican colleagues, specifically limits such separation severance payments at the community college level. HB 3593, which responded to a lavish separation-payment agreement at the College of DuPage, has been passed by both houses of the General Assembly and is awaiting action by the Governor. The University’s president has named Barbara J. Wilson, dean of the school’s College of Liberal Arts and Sciences, as interim chancellor of the University of Illinois.